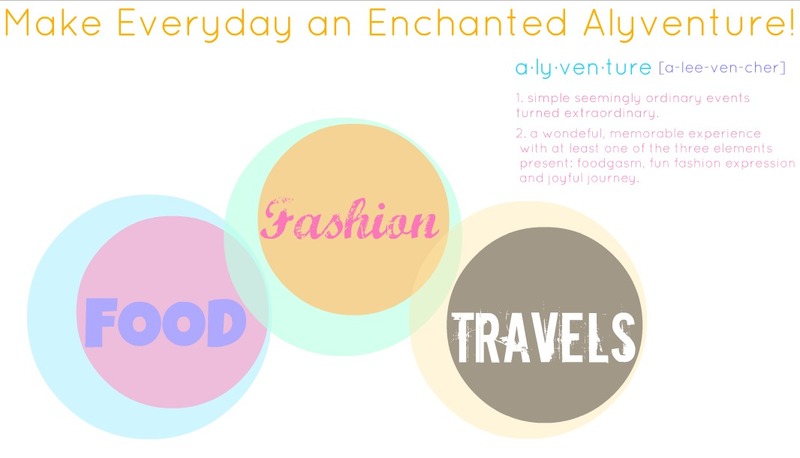 Today, The Pettersen's and I planned for a trip to Tagaytay for lunch at Antonio's but due to an emergency we stayed in Manila and had dinner instead. My mum introduced us all to this Thai restaurant called Mango Tree. 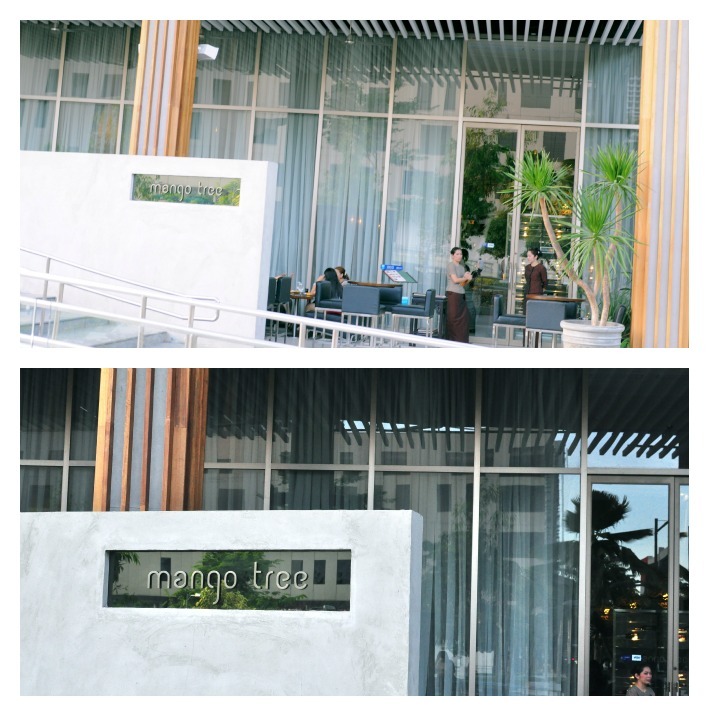 Mango Tree is located at the new High Street extension (Where Jamba Juice is, in front of Kabisera and Pancake House.) You definitely won't miss it as its facade is simple and modern yet extremely eye-catching. 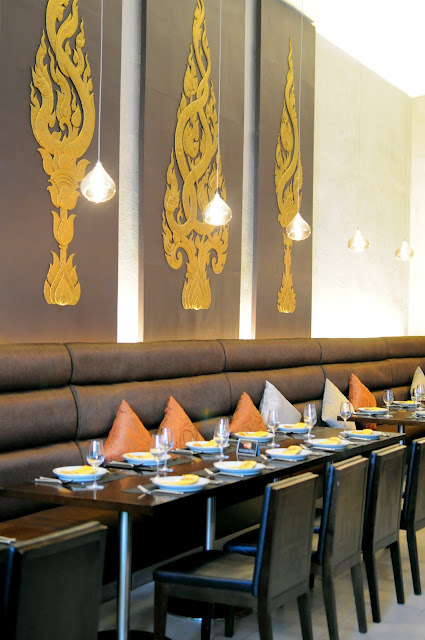 I personally love their high ceilings because it gives an elegant feel to your dining experience. Pomelo salad with fresh prawns and grated coconut. Pandan chicken with tamarind sauce. I always smell my food before I eat it. It's a weird habit, I know. So with that being said, I really enjoyed this dish because the pandan leaves gave such a great aroma. Pad Thai: Thai stir-fried rice noodles with prawns. Never was there a time where we didn't order this when eating at a Thai restaurant. It's a safe yet satisfying choice. Sweet 'n Sour Sea Bass. I'm a fan of chicken curry, but I really enjoyed this version too. It wasn't too sweet neither was it too spicy. It went perfectly well with the sticky rice (photo below) that we had ordered separately. High Street would probably be one of my favourite places to be at night. The open space, nature, and modern architecture never fail to catch my attention. We had dessert at Slice. I've tried their confections once or twice before and I'd have to say that they aren't all that bad. Pia Cayetano - Senator and Triathlete owns this cafe. With triathlete being said, you know you'd find a few healthy and natural products. I ordered this the first time I visited because it's piping design on top caught my eye. Claudia ordered it this time and enjoyed it. It's really no wonder why this is their best selling chocolate cupcake. I mean, you'd be crazy not to love chocolate AND yema! 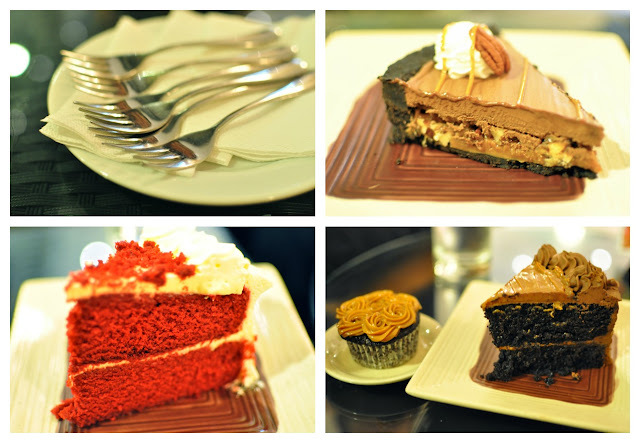 Josh ordered the Chocolate Yema cake which was basically the bigger version of the cupcake beside it. Turtle Pie: I really enjoyed it! I'd have to say one of the yummiest Oreo crusts I've ever tried. Great play of textures and taste. Red Velvet Cake: This was good and moist. The cream cheese frosting wasn't too heavy either. Just wished it was chilled. 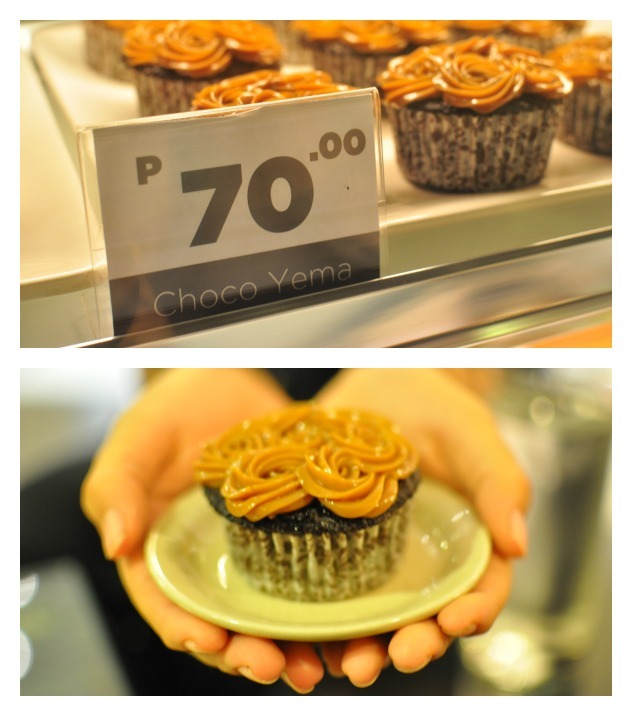 Chocolate Yema: The chocolate buttercream and yema put together may be quite filling, but all in all it was a yummy cake! Clara ordered the Chocolate Stirrers. Which was basically warm milk poured over a block of chocolate to help melt it. Just an innovative way of serving hot chocolate, I guess? It must've been really good because she finished every last drop of milk poured into the cup. Wow!! I wanna try Slice!